Love in Bloom ~ $100 Giveaway! Throughout the month of April, we will be featuring 10 fabulous authors who write clean romance. There will be a dozen giveaways, free ebooks and lots of great deals on books. We’re starting off with a $100 Kick-Off Giveaway. One lucky winner will receive a $100 Amazon Gift Code or $100 in Paypal Cash. Check out this great list of authors we will be spotlighting! Source: Received from Shadow Mountain to review. Book Description: Fourteen-year-old Ozzy lives near Portland, Oregon, and is desperate for help. His scientist parents have been kidnapped after discovering a formula that enables mind control. Their work was so top secret Ozzy is afraid to go to the police, but without help, he fears he'll never find his parents. Then he stumbles across a classified ad in the local newspaper that says "Wizard for Hire. Call 555-SPEL." 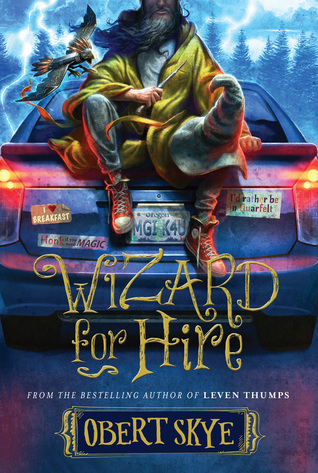 Ozzy has read about wizards in books like Harry Potter, but wizards couldn't actually exist today, could they? After Ozzy meets the wizard Labyrinth--aka Rin--he's even more skeptical. Sure, Rin dresses like a wizard, but the short robe and high-top tennis shoes seem unorthodox, as does Rin's habit of writing notes on his shoes and eating breakfast for every meal. Plus, Rin doesn't even cast any magic spells, which means that the unexplained coincidences that start happening around Ozzy are just that--coincidences. With the help of a robotic-talking raven invented by Ozzy's father, a kind and curious girl at school who decides to help Ozzy, and, of course, a self-proclaimed wizard who may or may not have a magical wand, Ozzy begins an unforgettable quest that will lead him closer to the answers he desperately seeks about his missing parents. My thoughts: This book is a hard one for me to rate and review. I am obviously not the age of the readers this book was written for. This book is written for a middle grade reader, but I think it would be better for an advanced middle grade reader and above. I was impressed with the humor in this book. It is full of little quips that brought a smile to my face. There are other parts that are a hard to read about. As a seven year old, Ozzy was abandoned in the forest when his parents were forcefully taken away from him. He was a smart boy and survived on the stock-pile of food his parents left in their home. I am grateful that seven years are basically glossed over, because I would hate to read about a child surviving on his own without guidance. The book picks up when Ozzy is 14 and learning to explore the world around him. He has his trusty mechanical bird, Clark, to keep him company. Clark is pretty amazing and will capture the attention and imagination of children. He is sarcastic and funny, plus he is a cognizant machine. He's pretty cool. Ozzy hires a wizard to help him find his parents. Labyrinth, or Rin, is a dilemma. Is he a wizard? Or is he a grown man playing out some fantasy from his youth? He is hard to decipher. But, he comes through for Ozzy and is the only adult helping out a young man in need. There were times I wondered if he was only doing it to get a free meal? Fortunately, Ozzy found money that his parents left that paid for essentials, and the services of a wizard. I felt as if at times the story lagged. It all was important to the story, so I don't know what could have been done differently. I did enjoy the dialogue and the characters. I would caution parents in letting their parents read this book. It takes a little maturity, it is about a boy living without parents and contains some violence. About the Author: (Taken from Amazon) Obert Skye was born on a stormy night in the back of a fast-moving taxi. Obert spends his time telling all who will listen about the existence of Foo and the importance of dreams. Obert is a fairly ordinary fellow who says he is simply hoping to repair what he has mistakenly undone. You can visit him online at www.leventhumps.com. Comes the Winter by Samantha St. Claire Avalanches, isolation and snow blindness were stark realities for those daring to remain in Idaho’s Sawtooth Range through the harsh winter months. For city dweller, Lena Sommer, the warnings seemed exaggerated. Dead tired, Evan stumbled up the steps to the porch. His body yearned for sleep even more than food. A full day of back-breaking work followed by a one-hour ride in a stiff saddle made the prospect of a soft bed all the more enticing. A sound and small movement to his left brought him fully alert. An animal, a bear perhaps? One had taken to roaming the river bank this summer looking through garbage. He pulled his gun from its holster, taking slow quiet steps across the porch. The shadow moved. Now he could discern the pattern not of fur but a quilt. Maybe one of the men had come home drunk and decided to sleep it off out here. Then a slender, bare ankle, attached to a pale white foot, emerged from the corner of the quilt. A woman? Here? He slid the gun back into its holster. Standing in front of her now, he saw the face framed by dark curls, softly falling across her cheek. Standing there with the moonlight caressing each curve of her face, he wondered if he were asleep. Maybe he'd come off the mountain, walked inside the house and was already dreaming of this angel. She shifted, sending Evan scuttling back into the shadowed edge of the porch. He held his breath lest she see him and think him up to some mischief. Drawing her foot back within the folds of the blanket, she settled back into sleep. In a moment, her breathing changed to that of a very human being, not at all angelic. He considered that for a moment. Who was he to say angels didn’t snore? He remembered then, Nash's expected lady. This must be her. Most conjectured her to be an older woman, certainly not a woman possessing such an ankle as this one, or a cheek as comely. Evan frowned. Bad business, this. The poor woman. He scratched at his beard, newly sprouted for the coming winter months. Turning back to the door, he left the sleeping angel to her dreams. He had little doubt she'd be on the first wagon out of the basin, off the mountain before winter locked the doors to the outside world. Or she would if she knew what was good for her. Author Samantha St. Claire Samantha St. Claire was born in 2016, the alter-ego and pen name of an author of historical fiction born a few decades earlier. She may have found her niche in western historical fiction, served up sweet. Never faint of heart, her signature female protagonists face the hazards of the frontier with courage, wit, and a healthy pinch of humor. The road from college graduation led due west where teaching in a small Arizona town fulfilled childhood fantasies on multiple levels. Hiking and backpacking the canyons and desert fed her imagination with the landscapes she would use later in life as an author. A few years passed before a change in jobs took her to California where her love of western history was further fed and her first novel of Russia's Fort Ross Colony came to life. But Idaho sparked her interest in the history of the magnificent central mountain ranges and Samantha St.Claire began her first series, The Sawtooth Range. Follow www.samanthastclaire.net to read more about the research that has helped develop the characters, towns and stories of the Sawtooth Range Series and now Whitcomb Creek, Montana. 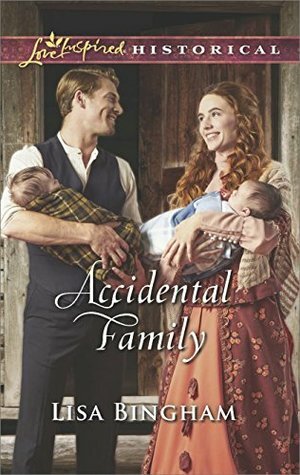 My Sister's Intended by Rachael Anderson ~ today is release day + giveaway! My Sister's Intended by Rachael Anderson For as long as Prudence can remember, it has been understood that her sister will one day wed the eldest son of their nearest neighbor. Such an alliance will benefit both families and bring a great deal of joy to all parents involved. Unfortunately, Prudence has never been able to feel as joyful. She believes her sister is mad to consider marrying a man she hardly knows, even if he will one day make her a countess. Titles and wealth shouldn't factor into matters of the heart, and as an aspiring romance novelist, Prudence cannot fathom how anyone could even think of settling for less than love. She certainly wouldn’t, and she doesn't want her sister to either. Unable to stand by and do nothing, Prudence sets out to help the awkward couple discover the best in each other with the hope that they will eventually find love. What she neglected to foresee, however, was the possibility that she might fall in love with Lord Knave herself. Book Description: Mercy McClain joined the school board to protect the children of Teaville, Kansas, from the bullying she experienced as a child. When the worst offender from her school days applies for a teaching position, she is dead set against it. Yet Aaron Firebrook claims to be a changed man. Can he earn Mercy's trust--and her support for the challenges to come? My thoughts: Can a person really change? What are morals? Those are some of the interesting thoughts that I had while reading this book. There are examples of cause and effect. Someone who is abused can become a bully. This book is about choices, the choice to change or live a life of unhappiness. Mercy is an amazing character. She illustrated compassion throughout the book, but knows where the boundaries are. You cannot remain compassionate and let people use you. That is her dilemma in this story. Is she being swayed unfairly because of her compassionate nature? In spite of it all, she is positive, trusts, and is someone you would want on your side. Aaron comes from a complex past. He is a contrast between being in control or being controlling. I loved that he was trying to give restitution for his mistakes. It takes a man of integrity and character to make things right, or at least try to. I mentioned morals in the first paragraph, because there are characters who give the impression of having high morals, but their characters reveal that they are only moral as long as it is of benefit to them, or just pretend to have morals. This book gave me a lot to think about. What philosophies do we speak, and what do we really believe? I should also mention that this is a fun book to read, besides thought provoking. The characters are well written, the pacing is great, and there is always some dilemma that needs to be taken care of. It is clean with kissing. There is mention of prostitution and non-graphic violence. The book contains Christian themes. My thoughts; I loved this collection of stories. One thing they all had in common, not everything was as it seemed. The characters were of the ton, and of the lower class. They were all wonderful characters. I liked each and every one of them. In "A Match Princess Pompous" I really hope that the matchmaker, Adelaide Northrop makes an appearance in another Sarah Eden story. She's an advocate to the couples she matches. Her plan is to be an observer and see beyond the facade that people present to the rest of the world. The plot was fun and well done. "Confections and Pretense" show cause and effect. Going into another country and not knowing the culture can have unintended consequences. Fortunately, the novella had a happy ending. "Little London" showed some of the problems with an elitist society. The expectations were pronounced concerning marriage and who or who is not acceptable. I loved that Quinn Edwards didn't bow down to what other's thought he should do, but did what was best for him and his happiness. It was a very romantic. 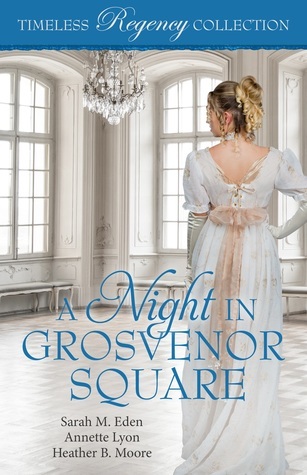 As always, any of the Timeless Regency collections are worth reading. I have yet to read one I didn't love. They are clean with kissing. This one contains some non-graphic violence. "Timeless Love: Romance Stories that Span the Ages" is ready to pre-order! I don't know about you, but this collection looks AMAZING! Act quickly to get all of them together. They will be published individually in July, and then you can only buy them individually. This will be 7 Novella's set in different era's, location, etc. Each story written by award winning author's. What is not to love about that? And for 99 cents, that's a bargain! Willow will do whatever it takes to keep her missing friend’s babies safe. She’s drawn to Charles’s steadfast caring and honesty, but she’s sure she doesn’t have the proper background or courage to ever be a worthy wife or mother. 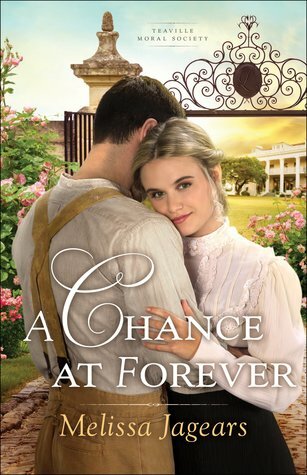 But as danger closes in, she and Charles will risk everything to face down their fears—and turn their temporary home into a lifetime of love. The two babies in the story couldn't have been more fortunate in the adults who are determined to care for them. The beginning of their little family is awkward, but Charles and Willow are amazing people, who put the needs of others before themselves. The development and progression of their family is wonderful, and I enjoyed reading about their journey. The mother of the twins was murdered. Not only have Charles and Willow vowed to protect the babies , but to figure out who killed her. The babies are in danger as long as the killer is on the loose. They compile a suspect list, there were times when I was pretty sure that I knew "who done it" and others where I was kept guessing. This book has talk of infidelity, chaste kisses, and non-graphic violence. Charles is the Pastor of the community, so there is a little religion in the book. I would consider it a clean read. About the Author: (Taken from Goodreads) Lisa Bingham was thirteen when she decided she wanted to be a published author, and she reached that goal less than ten years later. 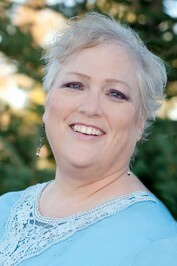 Now Lisa is the bestselling author of more than thirty historical and contemporary romantic fiction novels. Lisa has also been a teacher and a professional theatrical and historical reenactment costume designer—she’s considered an expert in those fields. She has been lucky enough to live and study in such exotic locales as Brazil, Mexico, Europe, and the United Kingdom. Currently she lives in rural northern Utah near her husband’s fourth-generation family farm. She is married to her sweetheart of twenty-two years and has three beautiful children, an over-protective dog, a burr-laden cat, and a miniature goat who thinks she’s a puppy. Holding the Fort by Regina Jennings. 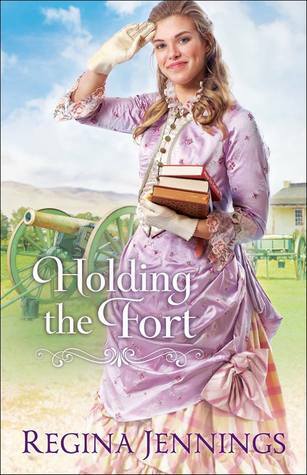 Book Description: When dance hall singer Louisa Bell visits Fort Reno to see her brother, she is mistaken for the governess that the harried Major Daniel Adams is waiting for. Between his rowdy troops and his two daughters, he has more responsibility than he can handle alone. Eager for the opportunity, Louisa sets out to show the widower that she is a perfect fit. My thoughts: What a hoot! This book is well written and a lot of fun to read. Louisa Bell comes from questionable beginnings. She feels that she can not make much of herself because of others decisions that affected her life. She doubts God and she doubts herself. A fortunate circumstance fell into her lap and she rose to the occasion and learned and grew as a person. She is a woman of integrity, grit, and intelligence - in spite of what others tell her. I loved watching Louisa grow and see the positive impact she had on the children in her charge. It was because of her upbringing that she was able to see what the girl needed and help them live lives or refinement and fun. Her journey is painful, but inspirational. It is proof that your beginnings do not determine your endings. Major Daniel Adams is a fair man. He comes across as stern, but deep inside he is a man of compassion, fairness, and strength. I loved having part of the story told through his eyes. The two girls, Daisy and Caroline are a treat. Particularly Daisy, she was so much fun to read about. She has a free spirit, and I loved that Louisa encouraged it and helped her temper it for the occasion. I also loved that the story was set in the Old West and dealt with the expansion of the United States in "Indian" territory. Major Adams was wonderful with the tribes and encouraged positive relations. Now I know this is a fictional story, but I would like to believe that there were men and women of integrity who saw the value of the Native Americans and their way of life. This is a fantastic book. There isn't a lot of violence for the setting and time period. There is a little bit of kissing and mention of a lives that were "soiled". I would recommend this book as clean and encourage anyone and everyone to read it. There are Christian themes, but the book is far from preachy. About the Author: (taken from Goodreads) Regina Jennings is a graduate of Oklahoma Baptist University with a degree in English and a history minor. She has worked at The Mustang News and First Baptist Church of Mustang, along with time at the Oklahoma National Stockyards and various livestock shows. She now lives outside Oklahoma City with her husband and four children. “WHITCOMB SPRINGS” BY MK MCCLINTOCK In the spring of 1865, a letter arrives in Whitcomb Springs for Evelyn Whitcomb. The Civil War has ended and the whereabouts of her husband is unknown, but she doesn’t give up hope. With courage, the help of a friend, and the love of a people, Evelyn finds a way to face—and endure—the unexpected. “Whitcomb Springs” is the introductory, stand-alone short story of the Whitcomb Springs series set in post-Civil War Montana. Montana Territory—April 25, 1865 The letter fluttered to the table. Evelyn stared at the sheet of paper but could no longer make out the words as they blurred together. Surrender. She prayed this day would come, they all had, and after four tortuous years, the war was finally over. 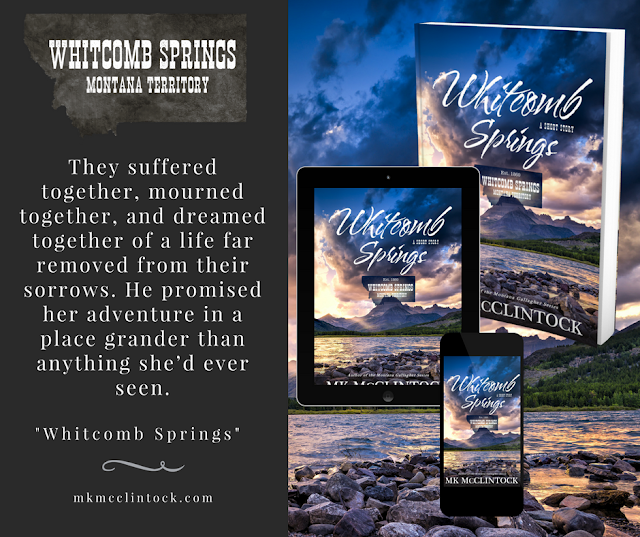 Author MK McClintock MK MCCLINTOCK is an award-winning author of historical romance and westerns, who has written several books and short stories, including the popular "Montana Gallagher" series, the "Crooked Creek" series, and the "British Agent" series. She continues the search for a time machine that can transport her to nineteenth-century Montana or Scotland—either works. MK enjoys a quiet life in the Rocky Mountains where she spins tales of romance, adventure, and mystery set in bygone times. 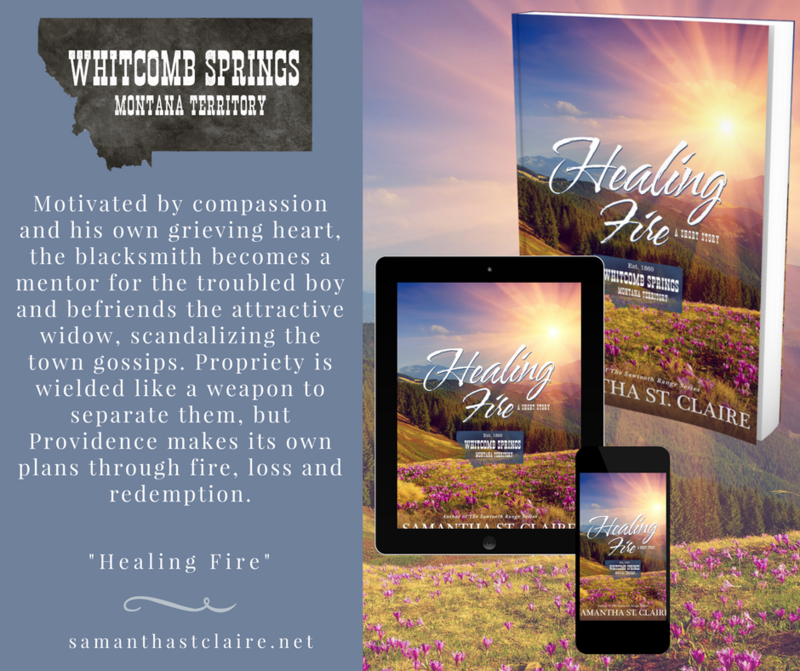 “HEALING FIRE” BY SAMANTHA ST. CLAIRE After the death of Nora Hewitt's husband, the citizens of Whitcomb Springs didn't see odds favoring the young widow for holding onto the ranch with only her ten-year-old son to assist. That changes when a gentle giant of a man offers a helping hand. Motivated by compassion and his own grieving heart, the blacksmith becomes a mentor for the troubled boy and befriends the attractive widow, scandalizing the town gossips. Propriety is wielded like a weapon to separate them, but Providence makes its own plans through fire, loss and redemption. Sawdust floated into drifts beneath the workbench, swirling in the cold Montana morning air. His breath a thin fog, Dominik Andris sang to himself as he ran his palm down the length of the cedar plank. Deep and resonant, the Austrian’s voice might have suited his appearance had it not been for its soft timbre. Broad-shouldered, square-jawed, and generally solemn in bearing, most people avoided him except when his skills as a blacksmith or undertaker were required. Today, someone had need of him as the latter. A rectangular box stood propped against the back wall. Nearly complete, the box lid before him was carved in designs more suitable for a cradle. Dominik picked up a carving knife, dwarfed in his hands, and bent to correct a curve on the delicate vine tracing its way from one end of the lid to the other. He ran his fingers along its length, testing for burrs in the grain. His humming ceased and a line formed between his brows, a frown not directed to his work but to the reason for it. As he straightened, he rubbed at the back of his neck and a little groan escaped his lips. He took a sip of cold coffee before crossing the workshop to the back wall where he picked up the box in one hand. The weight of it or the absence of weight, struck a painful chord. Just four feet in length, it was enough. Enough to hold the body of the child, the woman’s child. Author Samantha St. Claire SAMANTHA ST. CLAIRE was born in 2016, the alter-ego and pen name of an author of historical fiction born a few decades earlier. She may have found her niche in western historical fiction, served up sweet. Never faint of heart, her signature protagonists face the hazards of the frontier with courage, wit, and a healthy pinch of humor.